Tons of new stuff this week including some Actobotics kits, robot parts, and more. You want new products? That's good, because we have quite a few this week! 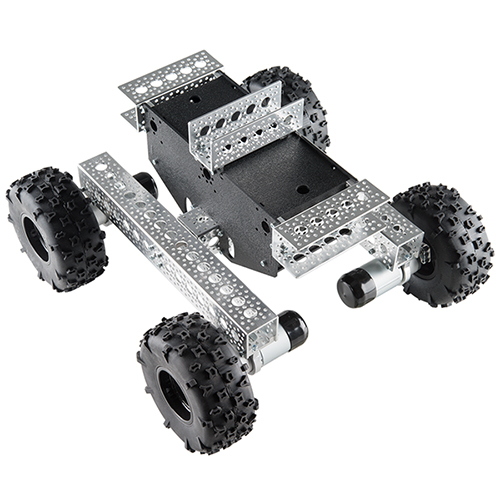 We even have some new robotics stuff, and everyone loves robots, right? Check out the video, and then brace yourself for the new stuff below. Wasn't that fun? 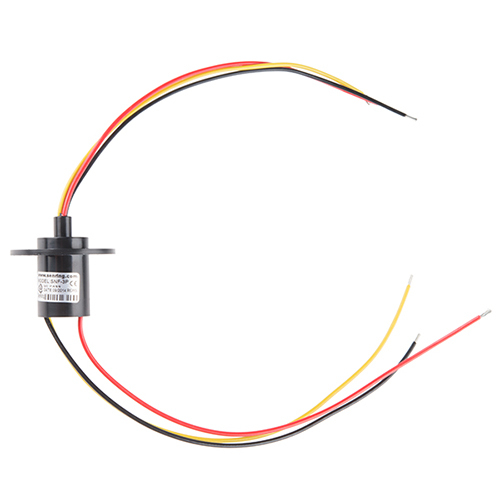 Slip rings are really cool and definitely solve a difficult problem in robotics. Want to start messing around with Actobotics but have no idea where to even begin? Why not check out the Actobitty? It's a small an simple robotic platform that uses two motors for motion and a central channel for attaching sensors and other goodies. It even comes with these clever little clips that allow you to attach an Arduino to the top. 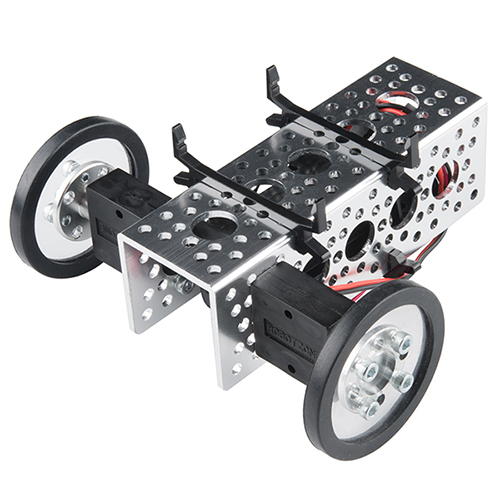 It comes as a kit and assembles easily and can interface with all other Actobotics products. Need something a bit bigger and off-roadier? Check out the 4WD off-road chassis. Like the Actobitty, it has all Actobotics products, but is quite a bit more substantial. It has a pivoting suspension, plenty of room for batteries, controllers, and other electronics and uses 4 heavy duty planetary gearhead motors. Check the video and watch Casey try to break them. Casey approves, and Casey knows motors. OK, so maybe robots aren't your thing, that's cool. We don't judge (well, maybe Casey will). What about cameras? 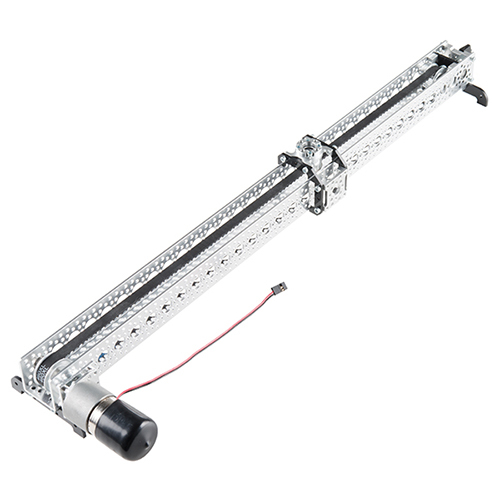 This week we have a camera slider kit from Actobotics. It uses a 24" channel, a timing belt, and some pulleys to create a simple motorized slider (motor not included). You can use any of the Actobotics motors or even attach a NEMA 17 stepper with an adapter plate. So. Now you have all this really cool Actobotics stuff, but you want to make this crazy robotic arm thing. But how do you make the arm rotate 360 degrees while still maintaining an electrical connection? Two words: slip rings. Slip rings are simple electromechanical devices that have a set of wires on each side, and allow you to spin assemblies while maintaining electrical connections. Check out the video above for a demonstration. We have them in 3 flavors. We have a 12 wire and 6 wire (both capable of 2A), and a 3 wire capable of 15A. 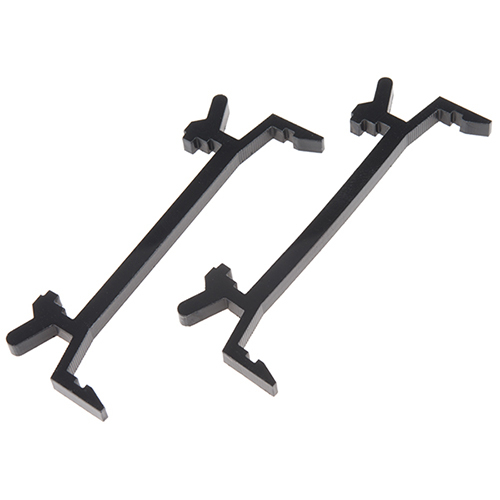 Remember those little clips on the ActoBitty for connecting your Arduino? We have those as separate products. They don't require tools, you just snap them on the channel, and snap in your board. We have a pair of them for both Arduino boards and for the Raspberry Pi. Last, but definitely not least, we have some new hookup wire. 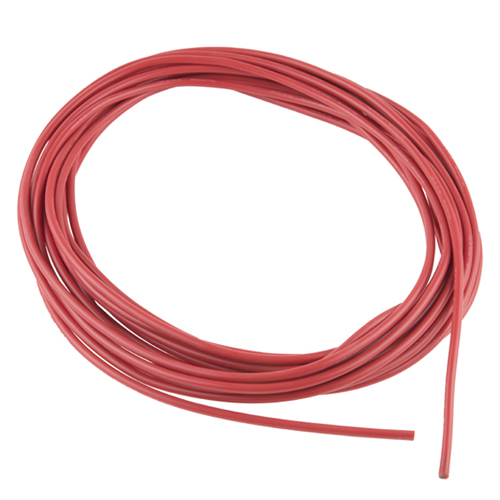 This isn't just any ordinary hookup wire, this is super flexible silicone jacketed wire. It's great at abrasion resistance, heat resistance and is extremely flexible. We have it in both black and red, 30 awg, 24 awg, and 12 awg, in lengths of 1, 5, and 10 meters. Check here for all the lengths, colors, and sizes. That's it for this week folks. Thanks for reading, watching, and just coming to the site to hang out. Of course, we'll be back again next week with more new products, see you then. Man I love the awkward guy at 4:00 walking into the shot, panicking, and leaving the shot. It became suddenly apparent that I wasn't going to be able to talk to Rob just then. Next time, just do a little dance and steal the shot LOL. Is there a possibility of getting the new, insanely exciting ESP8266 WIFI module in one of these new product friday bits soon?? Please? Please clarify. The fellow says he is using the slip rings to make the USB camera connections. I can believe that it's a wireless webcam transmitting an image and he is just sending power through the slip rings. Or are you saying that you are sending the a noise-free video image through the slip rings? Yup! I'm simply passing the USB connection through the slip ring. Noise isn't a problem (at least not in the sense that it would leave video artifacts) because of USB's (shockingly robust) comm protocol. If data packets fail CRC check, the host won't ACK and they get re-sent by the sender. In short, if you measured the practical transfer speed across the moving slip ring, it would be lower than in an uninterrupted USB cable (due to packets getting lost/corrupted and re-sent) but there's still more than enough capability left to pass webcam video! Now if we could just see long lengths of the smaller gauge in more than just Red & Black.. those of us with articulated assemblies would be thankful. Do you have strand counts on the silicone wire? Genuine Panther RC Rock Crawling tires...impressive! when robert is talking about the wires there is a kid talking to a woman while she is carrying a box that is like half her size and the kid didn't help her. They talked till the end of the video and not only the kid didn't help her but also she could have just put the box on the ground while they were talking. Don't worry, I am ok. The box was big but not heavy at all. It was just a card reader with a lot of padding for shipping. How low in temperature can the silicone wire can go to? In cold weather? At what temperature it start to lose that flexibility. We haven't tested it yet but I do know that silicone, itself, has a low "operating" temperature of â65Â°C. Do you guys sell those parts boxes with the red latches I see in Nick's work area? If not do you have a part number and manufacturer? Hey man, Aren't they great?? This was my (sort-of) thrifty response to Adam Savage's incredible Sortimo boxes and it's working out fantastically so far. That's almost identical to the ones I use which can be picked up on the cheap at Harbor Freight usually. I would love to get community feed back on optimal bench set up. I know the twitter contest is going on now, but I didn't see an entry for bench set-up. I am looking to rework mine and am short on input. Nick thanks for the info. I saw them in last weeks new products post and meant to ask. I liked the Adam Savage's setup too, but the price was a little prohibitive. Looking forward to the post about your shop I am thinking of setting up an extra monitor for standing work like yours as well.